Wish you could exchange your old vehicle for a new improved vehicle? You may be eligible to make a change for the better. 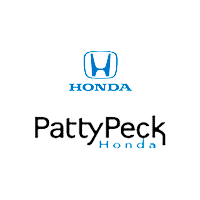 Due to the recent increase in demand for reliable pre-owned cars, Patty Peck Honda, your local Honda dealer is offering a Vehicle Exchange Program that could get you into a new car with little or $0 down. We invite you to upgrade your current car and take advantage of all the improvements a new Honda can offer.